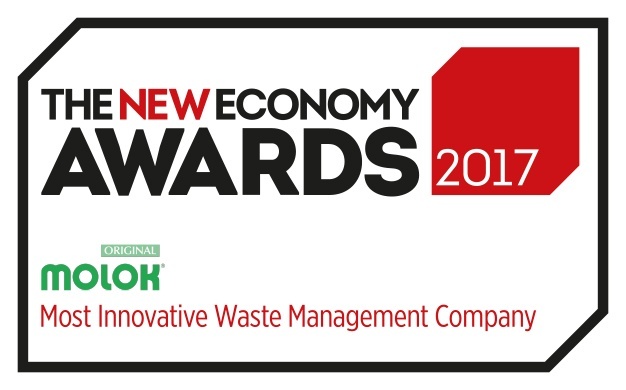 LONDON, Jan. 25, 2018 (GLOBE NEWSWIRE) -- For its exceptional work in waste management, Molok has won The New Economy magazine’s award for Most Innovative Waste Management Company 2017. For years, waste management has been treated as a low priority by businesses and governmental organisations alike. But waste, as we know it, is not going away any time soon. It’s mounting – especially so in developing countries, and systems to manage it therefore must transform. Thanks to the work of Salli and his team, this groundbreaking solution is now being used throughout the Western world, but has not yet come to the forefront of waste collection in developing economies – nations in which it is arguably most pertinent. Indeed, Molok’s Deep Collection could provide a real boon for less economically developed countries, enabling them to essentially skip a century’s worth of development work in terms of waste collection. Instead of going through the processes of traditional methods, developing economies can instead head straight towards the most advanced system out there. In doing so they could transform their oft-littered landscapes, while also saving on much-needed government revenue in the medium to long-term.